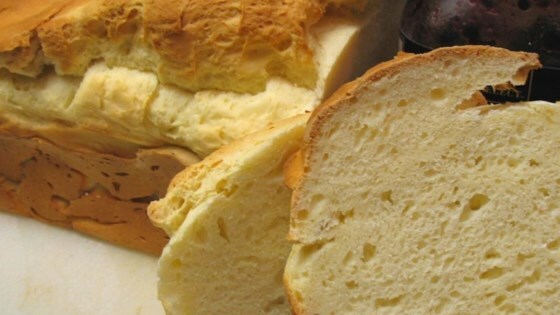 "A basic white bread recipe without the gluten. Easily made in your bread machine! Xanthan gum and the exotic flours are usually easily found in your local health food store." Select the sweet dough cycle. Five minutes into the cycle, check the consistency of the dough. Add additional rice flour or liquid if necessary. I'm rather miffed by this recipe. I followed the instructions carefully and ended up with the dough running all over the place. My breadmaker was next to ruined. I will not be trying it again.